Scottsburg Middle School is an innovative community of learners dedicated to helping ALL students learn, grow, create, collaborate, and contribute! Thanks to all of the Geography Bee contestants that participated in last Tuesday's intense, preliminary rounds! The competition was fierce. Congrats to the finalists and runners-up in each session. Runners-up included Aiden Crites, Luke Robinson, Gabriel Hines, Devin Terry, Langdon Holbrook, Ben Craig, Hannah Smith, and Caleb Turner. The following finalists will compete for the SMS Geography Bee championships this afternoon! Good luck to David Gaffney, Darrin Stidham, Emma Vernon, Jason Tillison, Mayson Cutter, and Zachary Vickers! Thanks also to the Social Studies Department for orchestrating this competition. The SMS winner will advance to the state prelims and potentially go on to compete at state and nationals. Big money! Big scholarships. Good luck!! 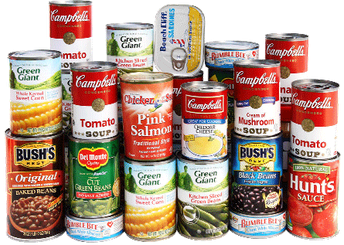 Scott County Food Drive: Yes We CAN! 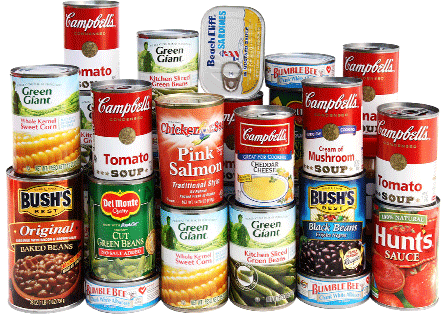 The SMS Builders' Club will be holding a canned food drive for the Scott County Clearinghouse. The Clearinghouse is almost always in need of food after Christmas. So now is a great time to help! Bring in donated non-perishable foods January 29th-February 2nd and drop them off at the following team locations. All donations will be delivered to the Clearinghouse at the end of the week. Please feel free to participate as much as you are able. Ask Sarah Everett or Lily Walsh if you have any questions! Want to give a friend a sweet treat? The SMS Builders Club and Student Council are going to sell candy grams on February 6th, 7th, and 8th! Visit the candy gram table in the main hall before school. Pay $1 and sign or write a short note on a candy gram card. A sweet treat will be attached and delivered to your friend on Wednesday, February 14th during homeroom. All money raised will support Big Brothers/Big Sisters of Scott County! This week in homeroom 6th graders learned about their brain, alcohol, addiction, and resisting peer pressure, as they celebrated “National Drugs and Alcohol Facts Week”. Sixth graders talked about misconceptions and myths about drugs and alcohol, how the brain works and addiction happens, and practiced how to resist pressure in peer situations. Ask your 6th-grader what they learned about drugs or alcohol and the brain! 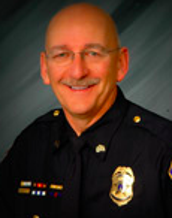 Scott County School District 2 schools will be hosting guest speaker, Sergeant Terry Hall, the first week of February! Hall will present his “Body Safety Program” at SMS on February 5 at 1:15 pm. Terry is a retired veteran of the Indianapolis Police Department and developed this program in the early 1980s when he realized prevention was the key to stopping child abuse. Terry has since spoken across the country to students of all ages about Body Safety. Our local Prevent Child Abuse Council and Department of Family and Children have coordinated this presentation for all of Scott County’s elementary, middle, and high schools. Any parent who does not wish for their child to hear Terry’s presentation must notify Ms. Nass before the presentation. Terry defines his own program as “protecting through empowerment”. He teaches children about the tricks child molesters use and how to watch out for their own bodies. He also teaches children not to be embarrassed to use the proper names for body parts, since embarrassment is one of the reasons children do not report abuse. Terry also includes information about the ways molesters use the internet or cell phones to lure and abuse children. Parents, guardians, and community members can meet Terry Hall and hear about his presentation on Monday, February 5, at 6:00 pm at the Austin High School auditorium. Prosser Education Center is hosting a Paint Prosser Pink event on Saturday, February 24th from 9:00 AM to noon. 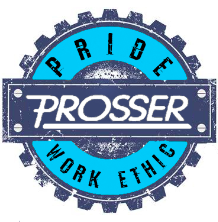 This special event is for girls in grades 6-9 to explore and participate in hands-on activities in Prosser courses. Attendees can select four program areas to visit from the list below! Space is limited. If you want to attend, pick up a registration form in the office and get it back to our office ASAP. Don't miss out on this chance to join the Pink Out at Prosser! 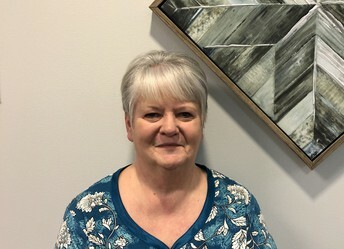 We are pleased to announce that Mrs. Kay Richie has rejoined our SMS staff as a full-time custodian. 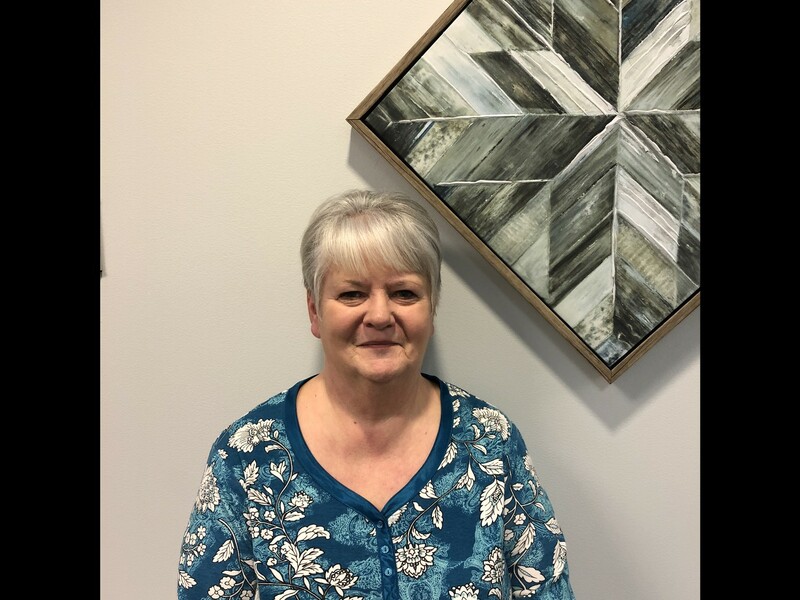 Mrs. Richie has served our district for 22 years at JES, SMS, SHS, and now back at SMS! Mrs. Richie will provide care for our 8th-grade wing and the core academic areas (MC, Fishbowl, etc.) Mrs. Richie will also coordinate our PM traffic flow from 2:40-3:10. Give her a wave as you drive, ride, or walk by! Welcome back, Mrs. Richie! The SMS Swim Team begins their season on Monday, January 29th. Practice is from 5:45 to 7 PM at the Scott County Family YMCA. A parent meeting will be held that night at 6:45. Practices shift to 3:45-5:30 starting Monday, February 5th (after the SHS swim season ends.) Students can ride a bus to the YMCA starting the fifth. SMS Warrior Football Camp runs from Jan 29th through March 19th on Mondays. 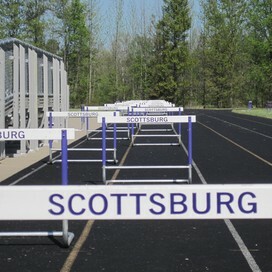 This is free to all middle school students and will be held at Scottsburg High School. Lineman should report from 5-6pm and skill positions camp is held from 6-7. Join in if you are not in a current sport. Voluntary baseball workouts started this week. If you are not in a current sport and want to start training, attend workouts on Wednesdays and Fridays from 3:30 - 5:30 pm at the high school. Buses that go to the high school are V3, V4 and V7. 8th Grade Recognition Night for cheerleading and basketball will be held on Monday, January 29th between the 7th and 8th grade girls basketball games. Athletes and their parents should line up with 5 minutes to go in the first game. We will recognize cheerleaders, boys basketball, and girls basketball in that order.